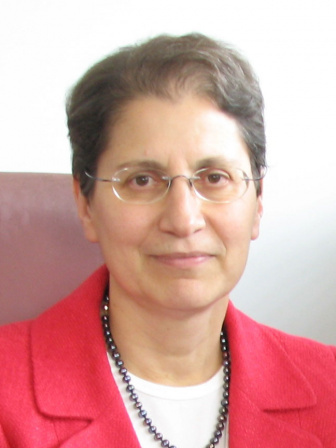 •	Dr. Rita Kandel is a Chair and Professor in the Department of Laboratory Medicine and Pathobiology at University of Toronto, Chief of Pathology and Laboratory Medicine at Mount Sinai Hospital (Sinai Health System), and Associate Scientist at the Lunenfeld-Tanenbaum Research Institute, Sinai Health System. •	Professor Kandel is the Director of the Collaborative Program in Musculoskeletal Sciences, a core member of the Institute of Biomaterials and Biomedical Engineering, and cross- appointed to the Department of Surgery. •	Professor Kandels research focusses on investigating mechanisms regulating tissue formation with the goal of developing regenerative medicine approaches for biological repair of joints and intervertebral discs. •	For over 20 years, Dr. Kandels research has been continuously supported by peer reviewed Canadian and US grants leading to over 200 papers and multiple book chapters. •	A passionate teacher, Professor Kandel has supervised students in her laboratory across the pedagogical spectrum—high school, undergraduate (including thesis), residents, postgraduate MD fellows, graduate, PhD, postdoctoral fellows. •	Dr. Kandel sits on the Sarcoma Services Steering Committee, and is a member of the Program in Evidence-Based Care for Sarcoma at Cancer Care Ontario. •	Professor Kandel is an Associate Editor of Cartilage, a Board Member of Osteoarthritis Research Society International, and is on the editorial board of Osteoarthritis & Cartilage and Journal of Experimental Orthopedics. •	Among numerous other honours and awards, Dr. Kandel is a Fellow of the Canadian Academy of Health Sciences and an Honorary Member of the International Cartilage Repair Society. This year, she became the recipient of the Distinguished Service Faculty Award of the Department of Laboratory Medicine and Pathobiology. •	Dr. Kandel obtained her medical degree and completed residency at the University of Toronto; she then went on to complete two postdoctoral fellowships at Tufts University and Harvard University.